Tun M...Please Be Fair To Yourself - Malaysia Instinct | Menerajui Berita Trending Malaysia! Hope you are in the best of health and continue to contribute remarkably to our nation building. Somehow I know that this day may come – the day that I have to write publicly as a response to your article in your blog. Well you see Tun, I am the product from your era and far-sighted policies. I studied in MRSM, I prefer Japanese products rather than European and I look up to you as one of world’s greatest leaders. I am also a product of Proton and one of those who benefitted from the automotive industry, a field from your brainchild that you had initiated successfully from the 80’s. Unfortunately, we are human beings and as human, we are far from perfect and we do made mistakes from time to time. I must say that your latest rambling (last night) about Proton is a mistake, probably due from your anger and frustration. This is my two cents to your write up, and I hope you will read it and digest this with open mind. 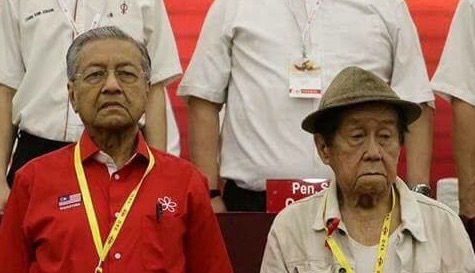 Well Tun, I am sad too because your vision did not come true. In those days, car companies were rigid and the industry was not as competitive as today. Now, car companies have different products for different specific region, and they even have sub-brands to ensure they can protect their market share. We thought that we could export our cars to other countries because we have been producing good and safe vehicle at an affordable price. The big boys of global automotive players apparently found several ways how to make their products cheaper to produce, and some even came out with their sub-brands to cater for the lower spectrum of the products. Renault has the Dacia and Logan brand, Nissan reintroduced its Datsun name plate while the big boys like Toyota and Honda both have lower end products that are not only more affordable, but come with up-to-date powertrain and platform. Even if we can come out with such way, the economies of scale will work against small companies like Proton when it comes to producing spare parts. It is not feasible to manufacture cars with expensive spare parts, especially when we want to penetrate the foreign markets. The big companies can produce spare pars at a lower price simply because they have the volume in large numbers. They are huge, up to the point that they can create local vendors in each region for the parts to be available at lower price. To get a Foreign Strategic Partner or FSP is not as easy as we think. Nobody wants to give up on something they have developed on their own for free. You need a carrot to dangle and in current Proton scenario, I believe it has gone so bad that we need a big carrot to offer. Even if we have a partner that holds substantial shares in Proton (the company), I do not believe it will be the worst thing, ever. Thailand has no national car brand but the global industry has labeled our neighbour as the Detroit of Asia. Yokohama’s Tire Test Center of Asia opened in Thailand in April 2009. The 1.69-million square meter site was initially equipped with a 4.1-kilometer high-speed track with a 1-kilometer straightaway enabling high-speed running tests of over 200 km/h, a multipurpose track covering approximately 100,000 square meters, a 4.2-kilometer course that encircles the high-speed course and reproduces general road conditions in Asia, and a rough road course for testing tyre durability. Almost all major Japanese brands have an R&D centre in Thailand. Heck, even tyre companies have R&D centres in Thailand. Malaysians should look beyond Proton. Of course, Proton is the main reason why we are into automotive and Proton will and can never become a failure because it has already created a big automotive ecosystem in this region, as evident since your days as Prime Minister. Due to your vision, Tun, we have been creating automotive vendors that supply to all brands, we also created a huge talent pool and Malaysians can be found everywhere around the world working for car companies or related to automotive. Tun, be fair to yourself. Proton might not be as big as we hope but because of Proton, we have created something even bigger. The automotive ecosystem is a lot bigger than Proton and offers more opportunities to more Malaysians. I do not earn money from Proton alone and I render my service to all car and motorcycle companies here in Malaysia. Now times have changed and we want the brand to move forward. Having a partner is the best for Proton and by doing so, we can make the ecosystem even bigger, and Malaysians can and will reap the benefit from that. This is something that I have to correct you again, Tun. I know, you will disagree but please listen to what I have to say because I know the facts that you got from your “experts” are wrong. You are saying that Proton cannot be exported to other countries due to “technical restriction” which is made to protect their own industry. That technical restriction is what we call as homologation, and the reason why the world agrees to it is because we want to have a higher safety standard and we want greener vehicles. Malaysia is actually at the forefront of this in the South East Asia and because of that, Proton cars have one of the best safety ratings in the industry, something that you are proud of. 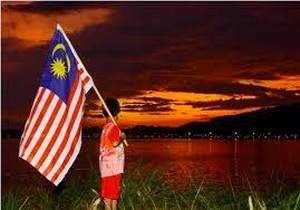 Malaysia has been a major force behind the creation of Asean NCAP – something that is even higher and stricter than the safety homologation standards in many countries in the region, and also the NCAP in this region is progressing by leap and bounds, faster than other continents in the past five years. Proton cars have surpassed that safety standards but because it is a small company, it does not have the capacity to produce engines that can comply to the strict emission standards in modern countries, especially in Europe. You see, the world wants to be greener – nobody wants to have heavy smog like Beijing a few years ago or New Delhi. A Foreign Strategic Partner will actually allow Proton to enter those “protected market” because Proton will be able to use their technologies. Sub-standard cars too can be imported? Again sir, this is not true and I believe you are referring to the Chinese brands of vehicles. The fact is, those brands have now moved forward and their vehicles have been complying to our strict regulation and homologation. Look at Haval, which is being assembled and sold here by a Bumiputera company, which by the way, is headed by a young man that looks up to you. Haval current models are sold everywhere around the world and their technology is getting better each year. One of Proton’s ex CEO said to me a long time ago that Proton’s benchmark was the European brands simply because the Chinese and the Koreans are behind. It has been more than thirty years and look at where we are now. With all due respect Tun, please if you could stop saying this? As I have stated earlier, we have developed something bigger than Proton – the huge automotive ecosystem that can serve the world with own abilities. The last thing that Proton needs right now is the company being pulled into another political game. Leaders should educate the people to treat Proton like a proper company, a corporate player to compete in the global automotive landscape and allow Proton to make its own decision. Your favourite engineering company is not the only company in the country and for this company to produce a complicated product by adhering to many international standards, Proton should be allowed to choose the best and the most effective vendor in the market. It is not the right time for Proton to do experiments with new companies, especially at present time – as it is surviving on a soft loan from the rakyat. Proton has been through a lot and to blame everything on today’s regime is totally unfair and uncalled for because there were many issues prior to this too. I am sure Malaysians still waiting for an Electric Vehicle from Proton, a project which was collaborated with your friend, Kamal Siddiqi of Frazer-Nash Research Limited in UK. Apparently, the decision to team up with Frazer-Nash yet to be implemented up until this moment. 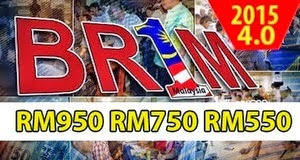 And if I may ask, I wonder what happened to the RM270 million grant for that project? As a Proton fan, I am quite sad with the result of that and as a member of the media, I have a lot of questions to ask Frazer-Nash. Asking you directly will be perceived as rude in our society. I also remember the Proton Emas project, where we actually bought a design from Italdesign Giugiaro, an Italian design firm and Proton was supposed to come out with a compact city car with hybrid and EV abilities. I remember this very well because I met you in Geneva when Proton unveiled the model of that particular car. I have no clue how much Proton had to pay Giugiaro for that design but nothing came out from that. The Proton cars that we have today are done by our local boys. I am sure whoever brokered that deal does not consider Proton’s well being at the top of his/her mind. Quite funny when we say we have to protect the local industries but in the same time, we have dubious projects with foreign parties which resulted nothing. And how about Lotus? Yes, I admit, it is such an ego booster to go around the world and say we Malaysia own Lotus. In reality, what do we get from that? Lotus is certainly not in a better shape. They have been coming out with variants of the same models for years. They just came out with a version of Bond’s white Esprit using the current Evora. Soon, Lotus may come up with a Miss Moneypenny’s version of the Elise – equipped with matching shopping bags in the boot and a pink interior. Product apart, we have been wasting big money on Lotus particularly when the management decided to take a “dream team” to change the brand. Billions of Proton’s money went down the drain and at the end of the day what we got was a legal battle, some carbon-fiber prototypes and a dream engine that remains a pipe dream because nothing materialized from then. Now all of the above happened way before the government stepped in. It had to step in now with a task force to help safeguard the people’s interest as the government will want to recoup its RM1.5 billion soft loan to Proton released last year. As a Malaysian citizen, I want a task force to be formed that consists of good and righteous people to help Proton making a grand comeback and repay the loan. The automotive landscape has changed a lot in the past few years. If I may say, you should have been more proactive in helping Proton during its heydays, like how the government of Korea did when Hyundai/Kia wanted to go into the US market. What happened to Proton back then was the opposite – we have government agencies using Proton as their “car supplier” for their events. We have national events using Proton as their cash sponsor because it is the easiest method in getting money. Right now, to continue protecting Proton won’t be a smart move. The response you get from Malaysians, in general, may not be good if we continue doing that. It was a move that should have been done a long time ago, BUT it is definitely not viable in today’s situation. Tun, let me share with you a secret that you might not know. This is about the car community in the country. The petrol heads that we have racing on the circuit that was built by your goodself in Sepang, the boys who gawk at souped-up cars and breathe and live cars, the thousands of car fanatics that read what the motoring media writes everyday, the lunatics that spend billions of RM building or modifying their wheeled contraption in garages scattered around the country, all in many way, we are the product of Proton. If we compare with our comrades and automotive enthusiasts in the neighbouring countries, it is safe to say that the people of Malaysia are more car savvy. We know well about the latest technology in the automotive world and we are the fussiest lot when it comes to car specification simply because we read more about cars. So Tun Mahathir, please do not look at Proton as the only benchmark. Thanks to you and Proton, Malaysians have better knowledge and awareness with regards to the automotive world. Now, why do we have to keep pointing fingers at each other? We can and we should start focusing and harnessing whatever advantage we have to make sure Malaysia is the automotive technology hub for the region. We can do it. With this new venture for Proton soon, in my fervent view, I honestly believe we can continue to ensure Proton is our pride, In Sha Allah (God willing).